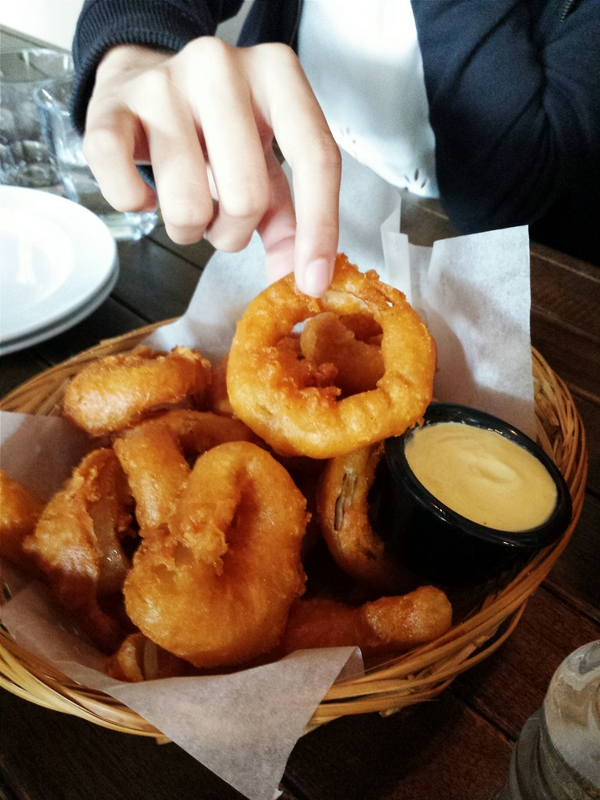 Roadhouse is a modern American diner serving hearty American fare like burgers, sandwiches and grills. Their portions are also bigger than a general Singapore restaurant’s, which make up for the expensive price tag to their food. Regarding their interior, the ambiance is lovely and very cozy with its dim lighting. It gives off a casual vibe which makes this Roadhouse an ideal place for dates as well as family gatherings. 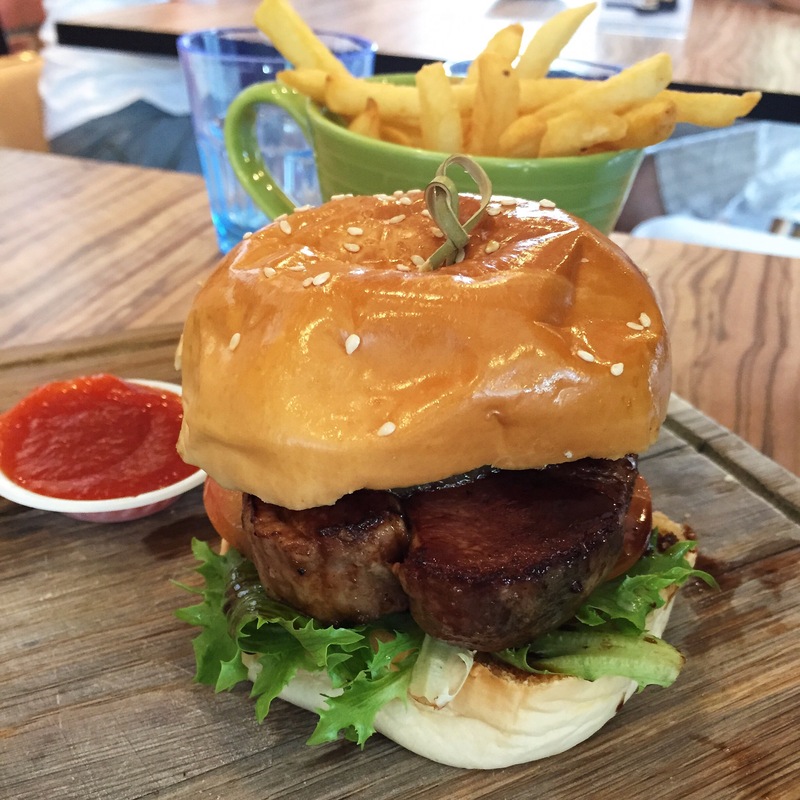 Roadhouse is my favourite place to go to satisfy my burger cravings. It’s not outstanding but it’s definitely above average and very good. Additionally, they have pretty good service, although it was quite hard to get the waiter’s attention at times and the wait for our food was a tad long. However, I made a special request for a candle to be lit on our burger as it was my friend’s birthday and they agreed! We ordered some appetisers to share before our main course arrived. 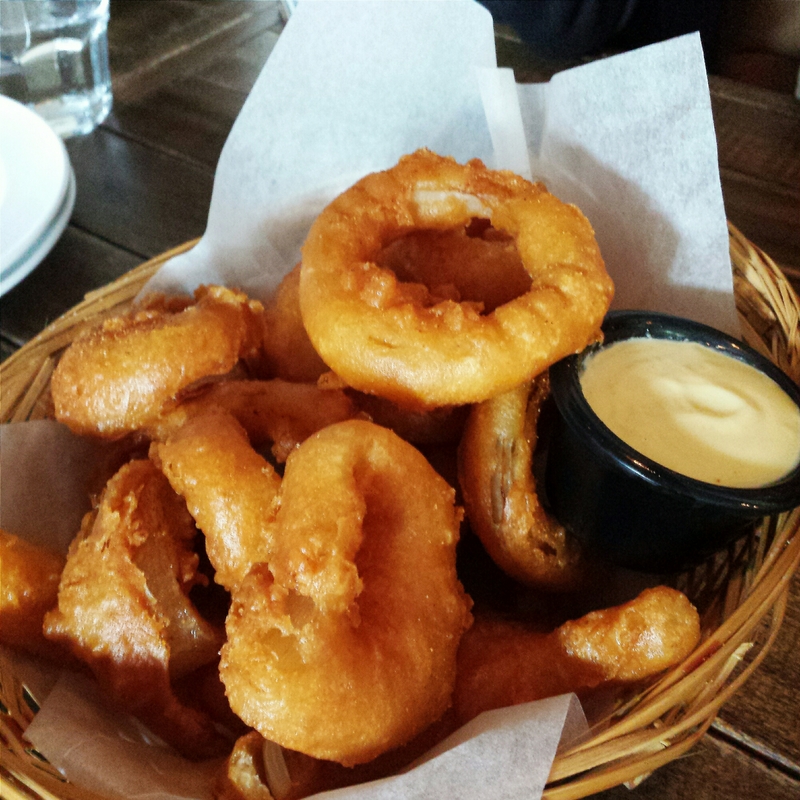 Thick-sliced onion rings deep friend in a light and crispy batter, served with a dollop of honey mustard sauce. My friends thought it went well with the onion rings. On the other hand, I found the sauce to be too tangy for my liking. Personal preference, I guess. 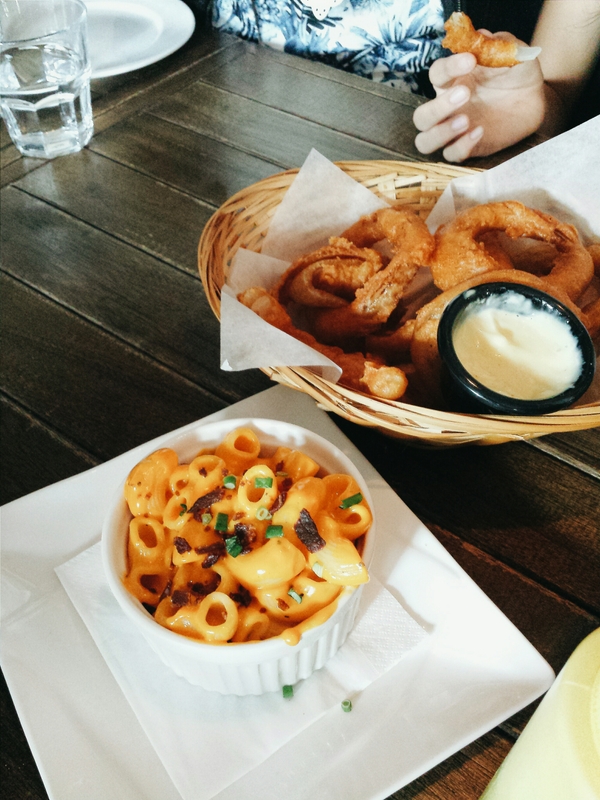 When we first saw this, we decided to order it because it was the least expensive item on the menu and also because we love anything that has to do with cheese. We expected a very small portion but we were pleasantly surprised when we were served a reasonable amount. The macaroni was cooked al dente – it was not too soft and not too hard. 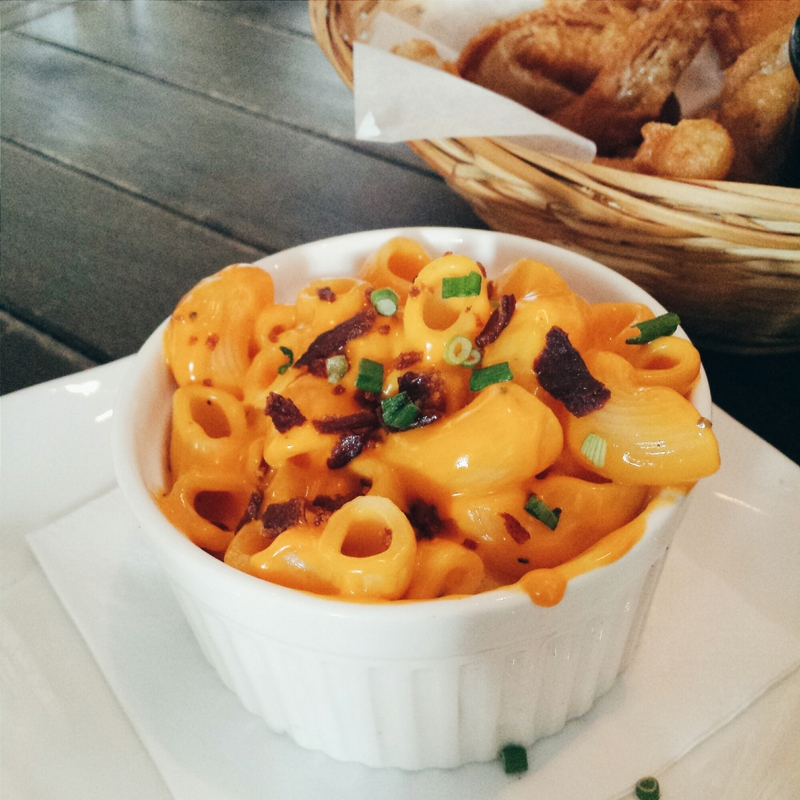 Furthermore, the cheese sauce was creamy and rich in flavour. Are you game? 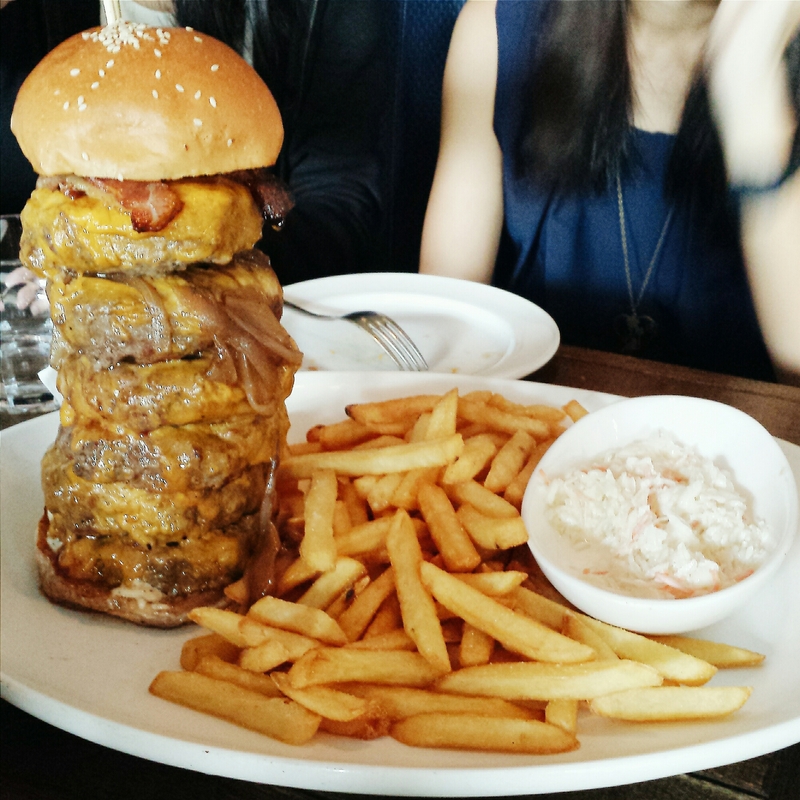 If you can wolf down this 1kg burger within 20 minutes all by yourself, you get the burger for free and your picture on the Wall of Fame (4 pillars and counting). One guy completed the challenge in slightly more than 6 minutes. What!!?!!?!! Anyways, the wagyu beef patty was satisfyingly thick and we shared 6 of it among the five of us. We asked for it to be medium-rare and it was perfectly done. On top of that, the patty was exceptionally juicy and jam-packed with flavour. The fries were a bit on the dry side but they were acceptable. 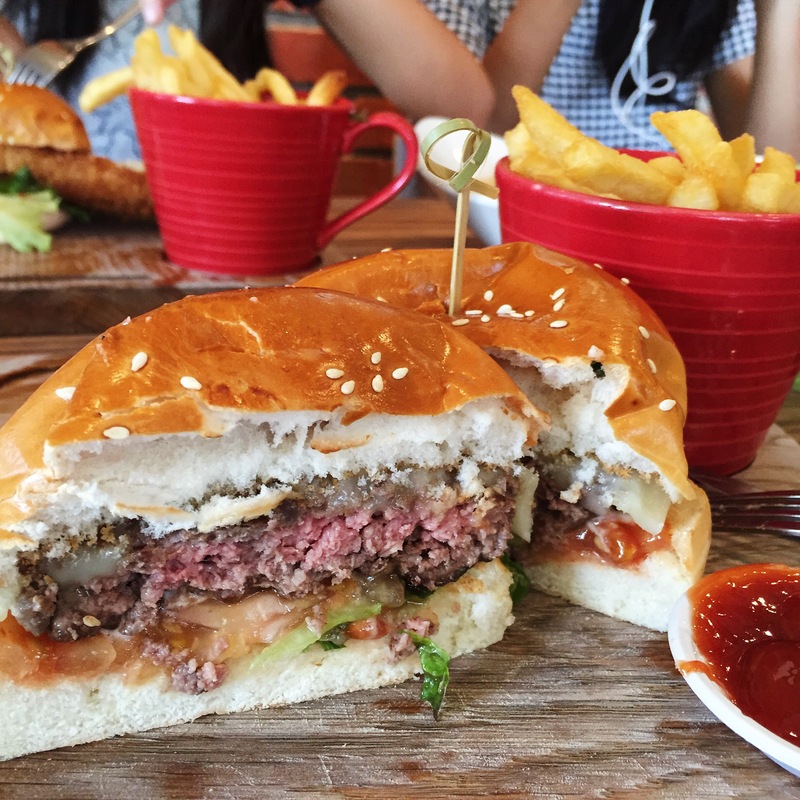 This sinfully good burger is definitely worth the calories. 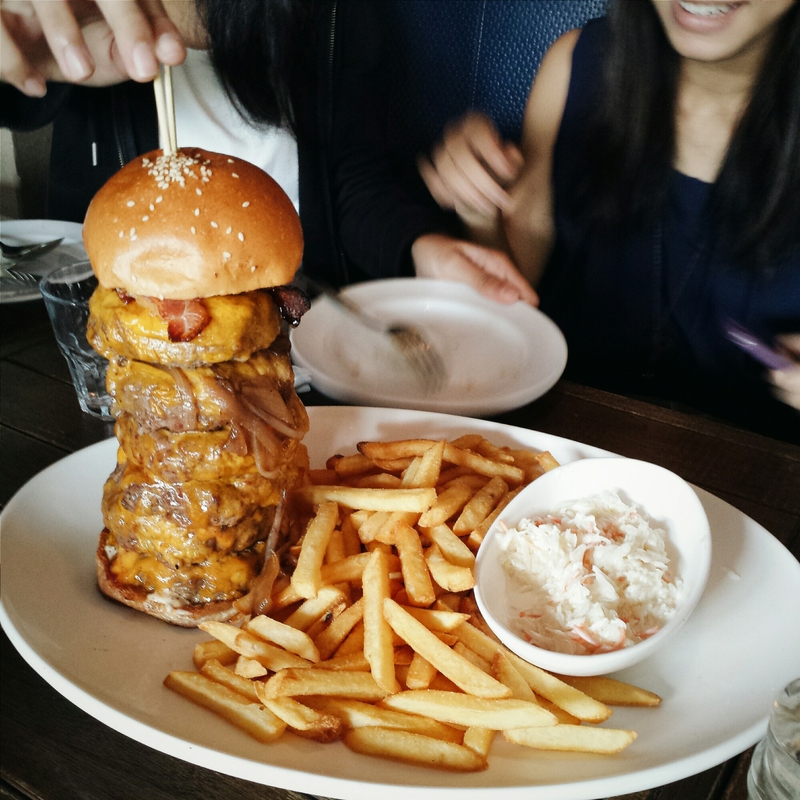 In summary, it’s all about good food and good company here at Roadhouse and I don’t mind making a short trip here just for my burger fix. Did I mention Dempsey has free parking? If only I had a car.